Thomas Tuchel has set a new Paris Saint-Germain record after winning each of his first six competitive matches in charge. PSG beat Saint-Etienne 4-0 at the Parc des Princes on Friday to extend a perfect start to the 2018-19 Ligue 1 season under their new head coach. Neymar was rested for the game and Kylian Mbappe was suspended but goals from Julian Draxler, Edinson Cavani, Angel Di Maria and Moussa Diaby earned a comfortable victory. PSG's latest victory adds to Ligue 1 wins collected against Caen, Guingamp, Angers and Nimes, as well as a 4-0 demolition of Monaco in the Trophee des Champions. 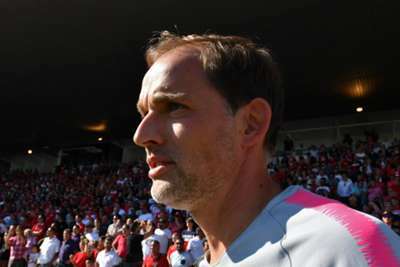 Tuchel's men move six points clear of nearest rivals Dijon ahead of Tuesday's trip to Liverpool in their first Champions League match under the German's stewardship. Carlo Ancelotti previously held the record for most successive wins at the start of his PSG reign, the Italian leading his side to five straight victories in 2011. When the drivers were finally allowed to let loose, Ferrari duo Charles Leclerc and Sebastian Vettel impressed in Azerbaijan GP practice.